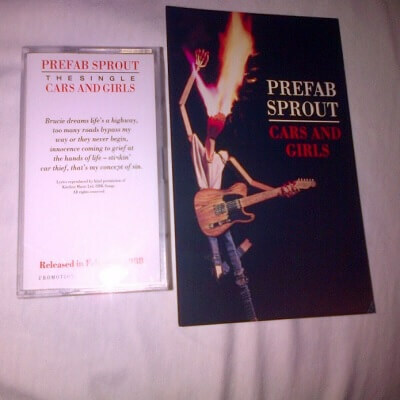 Very rare promotional items these, a “Cars and Girls” promotional cassette used for record shop displays (it includes a cassette and they usually but not always have “Cars and Girls” on), and the associated promotional post card which is STUPENDOUSLY difficult to find. We have all been burned. But click on the picture to bid if you’re prepared to drive down that old dusty highway one more time in the search for love and destiny.